We're Southeastern Arizona's Best Kept Secret. 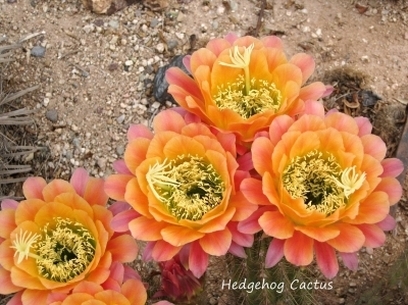 Discover your sanctuary at the SKP Saguaro Co-op, overlooking spectacular views of the Dragoon Mountains. 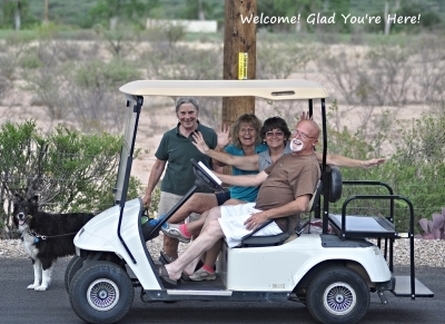 Part of the Escapees RV Club park network, we're nestled in the San Pedro River Valley, just two miles south of the city of Benson, Arizona. Play golf at a nearby course, hike in an ageless Arizona setting, or indulge in one of the many activities SKP Saguaro Co-op offers our guests. Our spacious lots give you the room you need to relax, unwind and recharge in whatever way you would like. Not far away, you’ll find the vibrant, eclectic sights of Tucson, the historic city of Tombstone, the awesome Kartchner Caverns, Colossal Cave, and many other attractions. Whether you’re planning a short visit or an extended stay, this is the place to lose yourself in the wonders of southeastern Arizona! 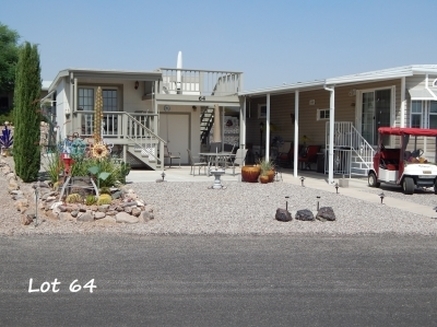 Whether you're close to Benson and planning a weekend adventure, a northerner looking for a winter refuge or, perhaps, an RVer seeking a permanent or semi-permanent place to settle down, SKP Saguaro Co-op is all of these and more. We are a proud community extending our hospitality to fellow travelers. You will find a support network of caring people eager to help, no matter whether you are a resident or a casual visitor. Please accept our invitation to stop, stay awhile, and sample the many amenities and activities we have to offer. Our courteous staff and friendly residents will welcome you. We believe you will then understand why many RVers consider SKP Saguaro Co-op among the best in the Escapees park system or, for that matter, anywhere! We're Looking Forward to Seeing You. Please Plan Your Visit Today! © Copyright 2018, SKP Saguaro Co-Op of Arizona, Inc. All Rights Reserved.